If you envisage a relaxed holiday in a remote location in Fermanagh which does not compromise on luxury, look no further than our beautifully restored farmhouse properties. Whether you are a couple or a group of friends or a family with children of any age, any one of these properties will more than meet your requirements and exceed your expectations. Irrespective of which house you choose, you will arrive to find a plate of freshly baked scones with fresh cream and homemade preserves to provide the perfect start to your sojourn. 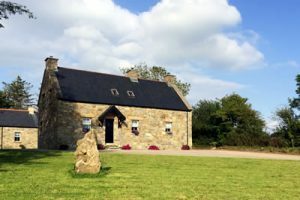 A selection of restored rural houses each located on it’s own farm deep in the Ulster countryside offering discerning visitors the choice between quality, meticulously maintained self catering accommodation or the luxury of an award winning guesthouse. 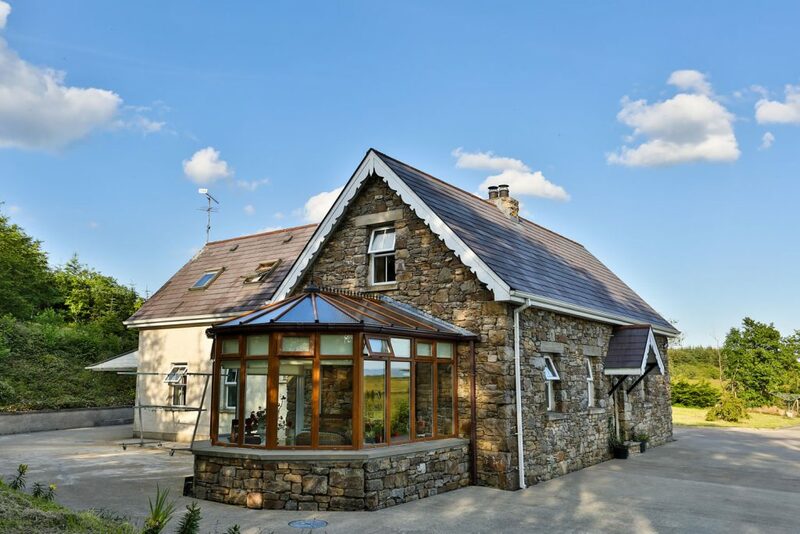 The main farmhouse, five star NITB approved, offers visitors luxurious accommodation encased in traditional surroundings coupled with breathtaking views across the Fermanagh countryside. Thank you so much for a fantastic week in your beautiful holiday home. We all had a ball and we'll definitely be back soon! 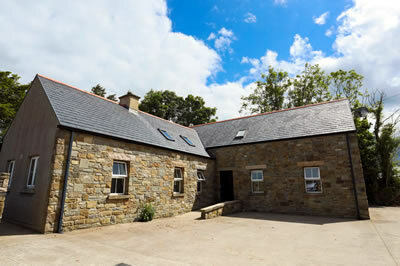 The Stablehouse which was renovated in 2005 offers guests luxury self catering accommodation and as an added bonus has been designed to facilitate the less able bodied. Brilliant stay yet again at Mountain Lodge. Thank you Josephine for your hospitality. Relaxing in the hot tub during a horrendous storm was amazing. See you again soon. Had an amazing few days at Mountain Lodge with a wonderful friendly welcome from Josephine with fresh baked scones and jam. Will definitely be back already planning our next break here with the kids. Thank you so much for letting us stay in the fantastic house. Hot tub was amazing!